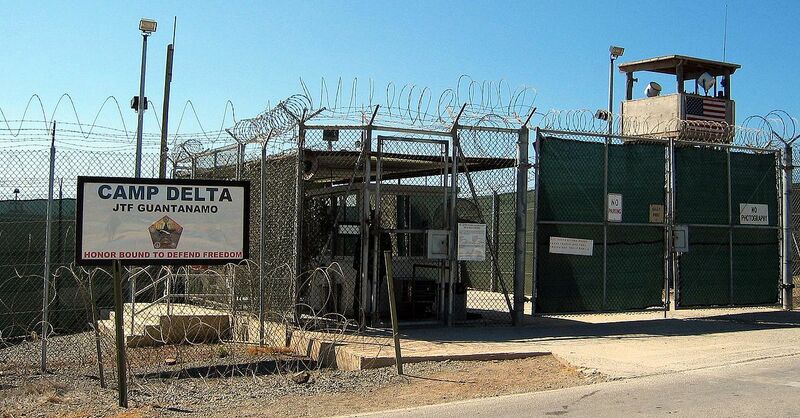 A court in Lithuania has today released a ruling urging prosecutors to investigate claims that a Guantánamo detainee was held in CIA secret detention in the country. The decision comes after prosecutors refused to open an investigation into a complaint lodged in September last year by human rights organisations Human Rights Monitoring Institute and REDRESS concerning 9/11 accused Mustafa al-Hawsawi. The complaint called for an investigation into allegations that he was illegally transferred to and secretly detained and tortured in Lithuania as part of a CIA-led programme. REDRESS and HRMI appealed the Lithuanian prosecutors’ decision to refuse to open an investigation to the Vilnius Regional Court. The Court has now overturned the prosecutor’s decision. It found that the prosecutor’s reliance on a past investigation into similar claims by other alleged detainees was not sufficient to satisfy their obligation to investigate these new claims. The Court held that, given the grave nature of the allegations, prosecutors should have interviewed Mr al-Hawsawi and filed information requests with United States government agencies. The Court’s decision comes as European governments face increasing pressure to investigate claims of their involvement in the CIA-led programme of extraordinary rendition, secret detention and torture. On 10 October 2013 the European Parliament passed a resolution urging Lithuania to carry out a criminal investigation into allegations that Mr al-Hawsawi was held in secret detention in the country. Last week the Washington Post newspaper, citing unnamed CIA sources, reported that the agency paid Polish intelligence at least $15 million to use a facility on Polish territory for the programme. In December the European Court of Human Rights heard a case brought against Poland by two men who allege they were held on Polish territory. It is expected to rule on the case later this year. 1. On 13 September 2013 REDRESS and the Human Rights Monitoring Institute submitted a joint complaint to the Lithuanian Prosecutor General. The complaint called for an investigation into allegations that Mustafa al-Hawsawi, who is currently facing trial by military commission at Guantánamo Bay, was illegally transferred to and secretly detained and tortured in Lithuania as part of a CIA-led programme of secret detention and torture. 2. Mustafa al-Hawsawi faces capital charges before a United States Military Commission in Guantánamo Bay, Cuba. The charges relate to his alleged involvement as media organiser and financer in the September 11, 2001 attacks in the United States. 4. The United States has made it impossible for Mr al-Hawsawi to bring any complaint or provide any evidence himself. Any information from Mr al-Hawsawi on these matters is automatically classified, accessible only to those with high level security clearance. 5. On 27 September 2013, the Lithuanian Prosecutor’s office issued a decision refusing to open an investigation into the allegations raised. The reasons given for refusing to open an investigation included that there was insufficient evidence to raise the obligation to investigate, and that the complaint was not based on information obtained from Mr. al-Hawsawi or known “directly” to HRMI or REDRESS, but was instead based on “assumptions” made after analysing accessible information. investigation into allegations that Guantánamo detainee Mustafa al-Hawsawi was held in secret detention in the country. 7. REDRESS and HRMI appealed the decision of the Lithuanian Prosecutor in the Lithuanian courts. The court of first instance upheld the Prosecutor’s decision on 10 December 2013. 8. On 28 January 2014 Vilnius Regional Court overturned the prosecutor’s decision not to investigate the case, and the lower court judgment upholding that decision. It released its reasons for the decision on 29 January 2014. About HRMI: HRMI is a non-governmental organisation founded in 2003 in Lithuania with the purpose of promoting an open democratic society through implementation of human rights and freedoms. HRMI undertakes strategic litigation, drafts alternative reports to international human rights bodies, raises human rights awareness, and advocates for greater accountability of the government. More information can be found on.